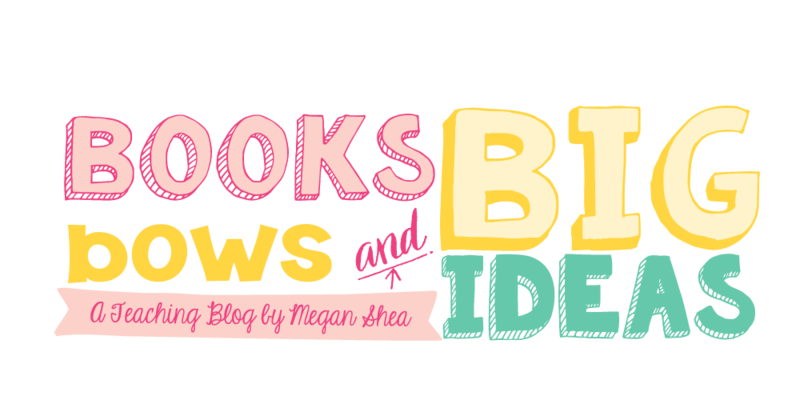 Books, Bows and Big Ideas: Snowmen Fun and a Blizzard Sale! Snowmen Fun and a Blizzard Sale! Is anyone else in the tri-state area? 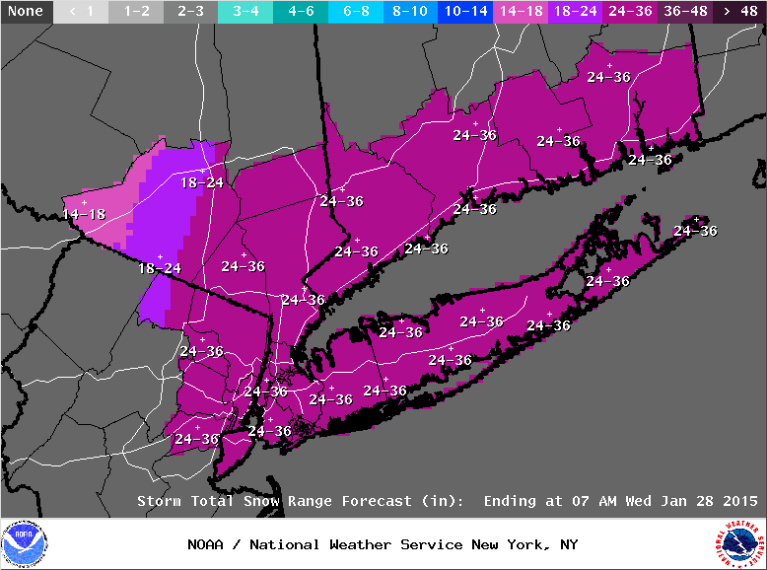 We are expecting a major, potentially major blizzard. We are now in a state of emergency and have a blizzard warning. Yes, I am in the 24-36 inch range. We got out of school early this morning, we were one of the only districts around to go in at all! We already have a snow day tomorrow. 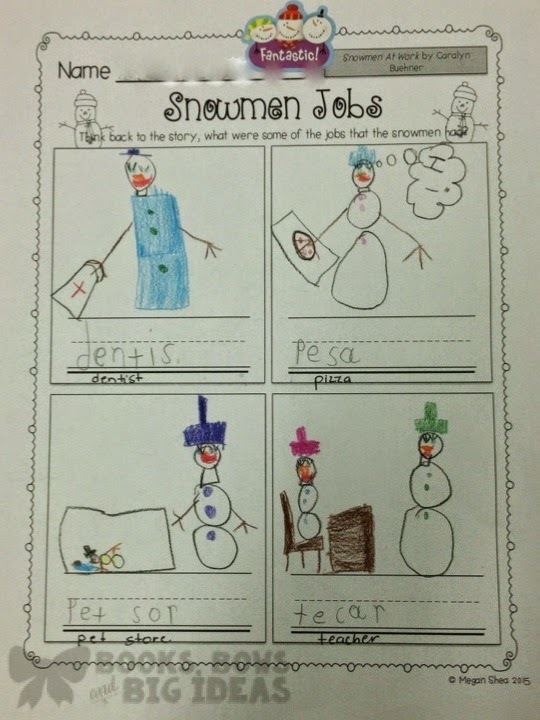 We have been doing a lot of fun snowmen themed activities in school lately. 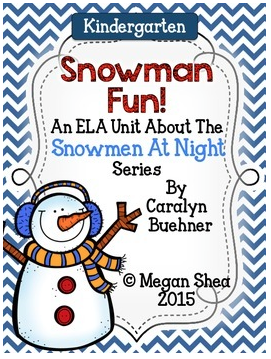 We have been enjoying the "Snowmen at Night" series by Caralyn Buehner. 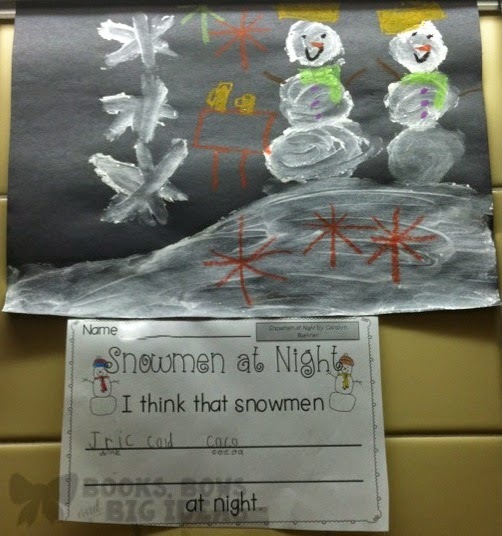 Last week we did these fun snowmen at night projects. The kids got really creative and they came out really cute! 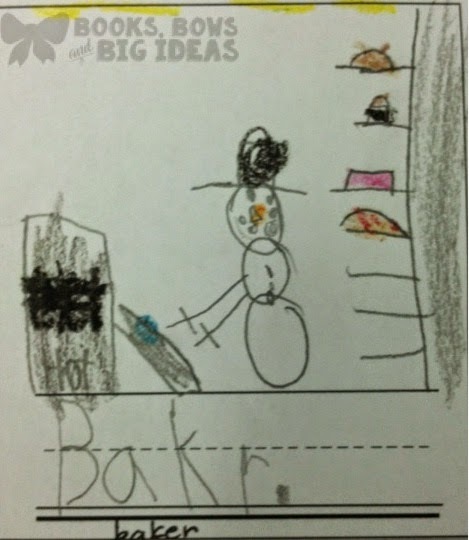 "I think that snowmen drink cold cocoa at night." 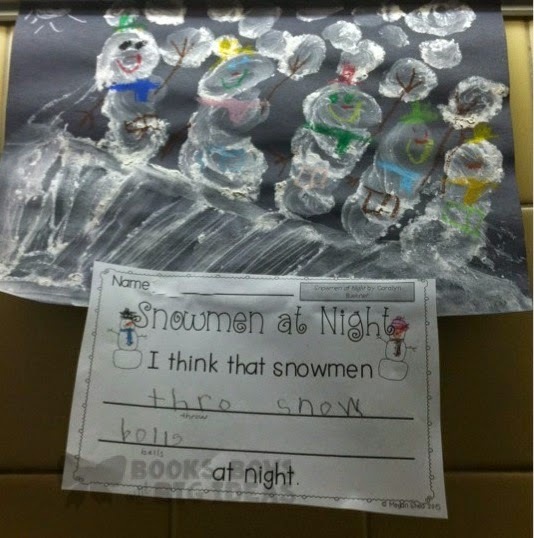 "I think that snowmen throw snowballs at night." 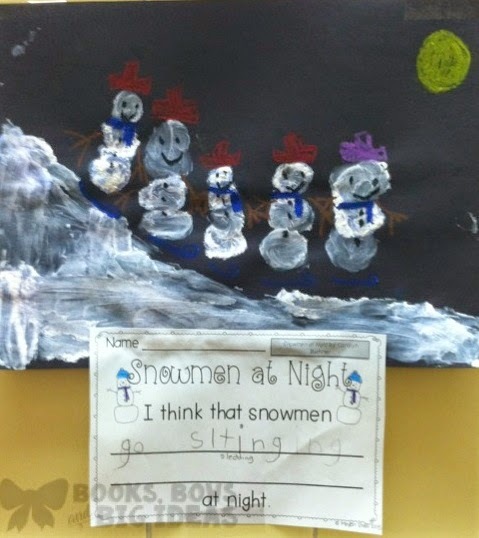 "I think that snowmen go sledding at night." 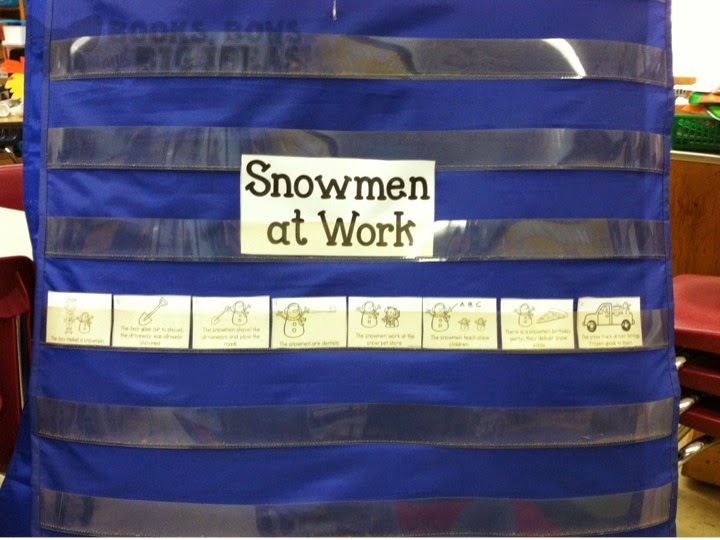 Just this morning we read "Snowmen at Work" and did a couple of fun activities to go with the book. 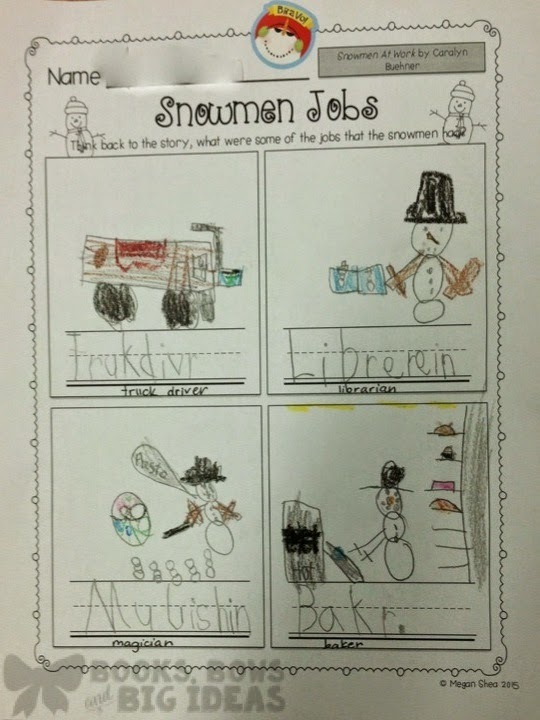 First we talked about the jobs that the snowmen had and the kids wrote and drew four of the jobs that the snowmen had in the story. 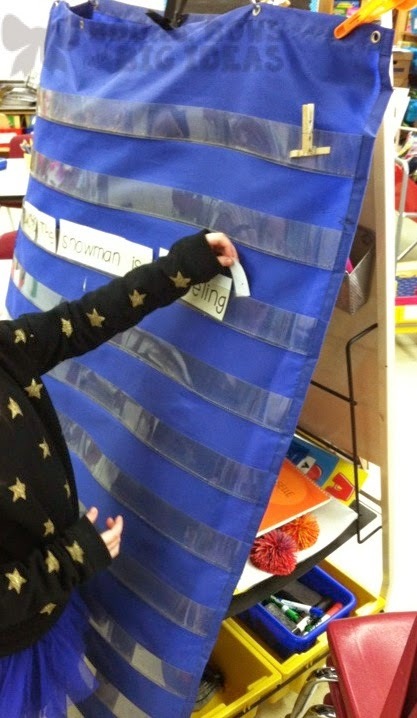 We created a chart as a class. 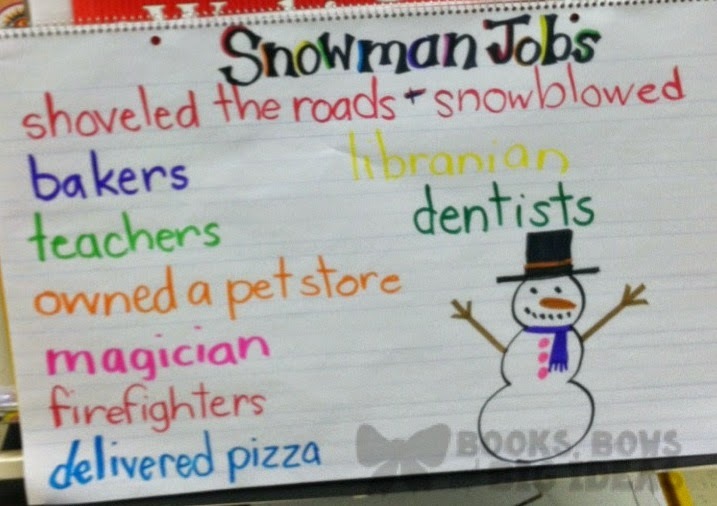 Then the kids drew and wrote four of the jobs. Look how adorable these pictures are! Look at the oven with the "hot", the baked goods. So cute!! Notice the "presto", magic wand and audience. 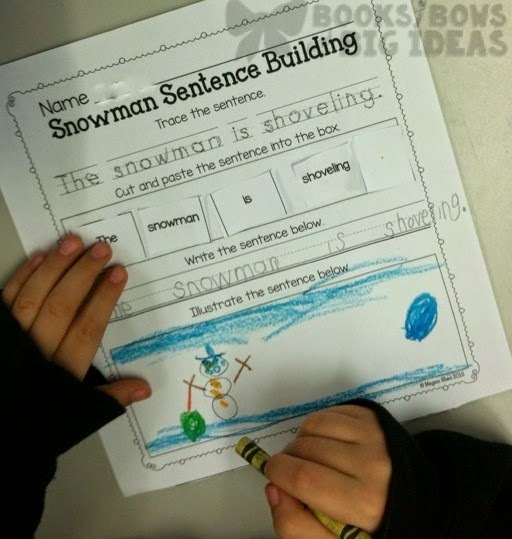 We also did a snowmen sentence activity. 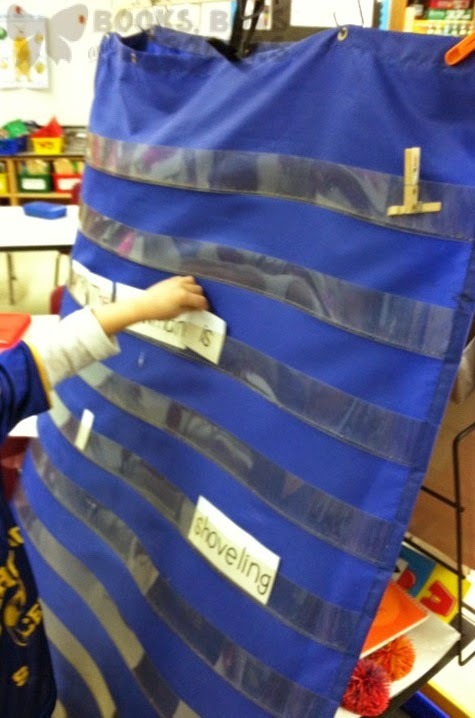 The kids had to unscramble the sentence as a class, we used a pocket chart. 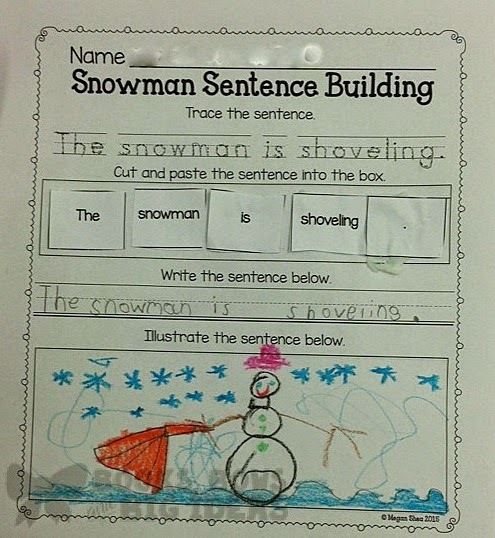 Then, they unscrambled the same sentence on their own and drew a picture to match. 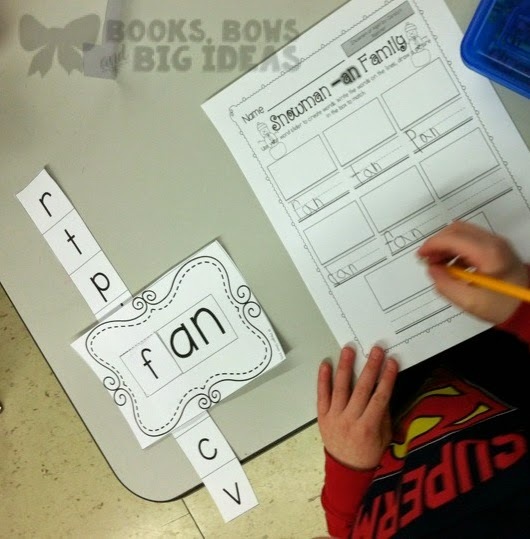 We also did a retelling activity. First the kids put the events in order in the pocket chart. Then, they used this as a guide to put them in order on their paper. Lastly, we did a fun word family page. 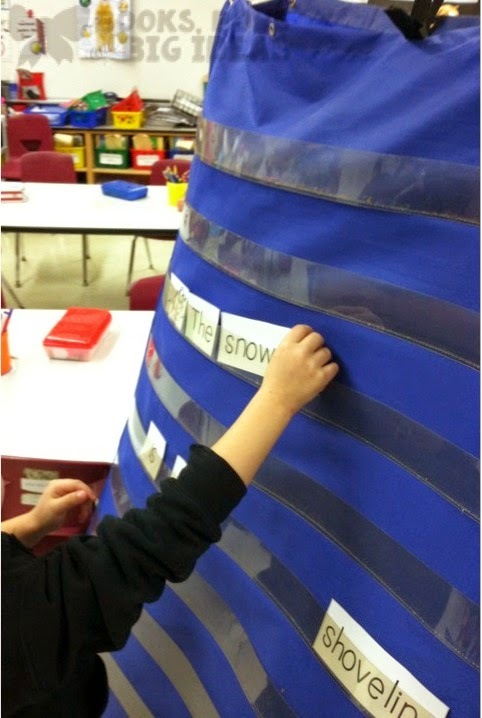 We used word sliders to create -an words. 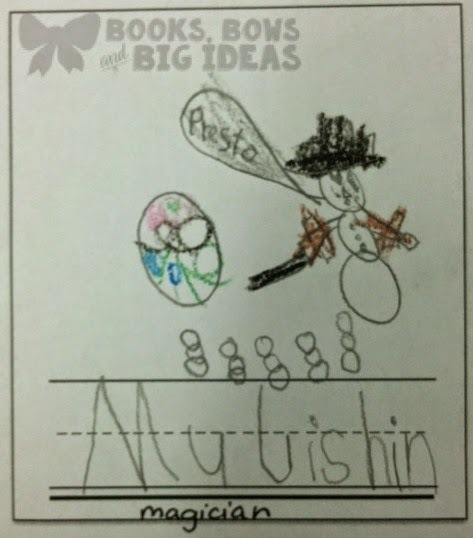 There are so many more activities that go with the book that I would have done if we had a full day of school. 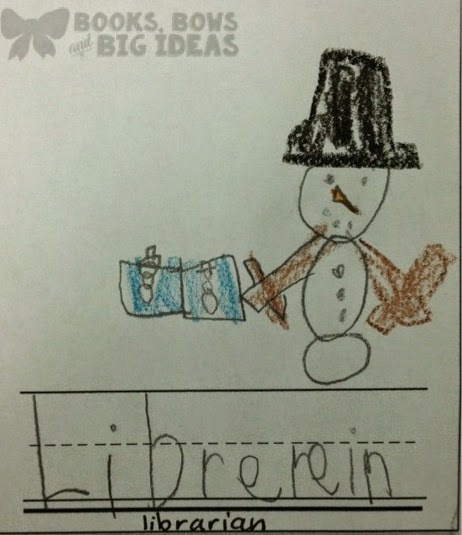 We still have "Snowmen All Year" to read as well. 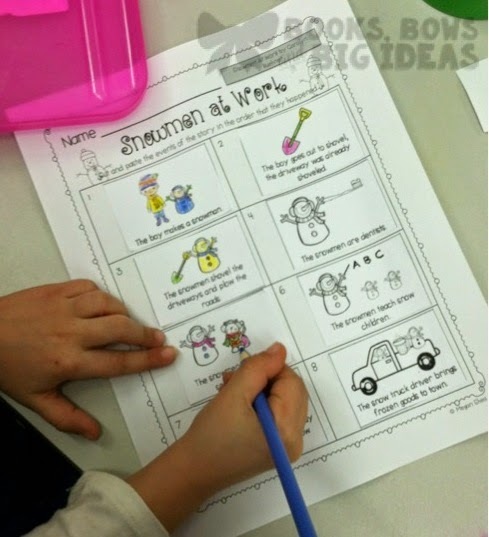 All of the activities that we did and SO much more are included in my Snowmen at Night pack on TpT. Click the photo below to see the unit. Since I am home with this huge blizzard coming, I decided it would be fun to have a Blizzard Sale! Everything in my store will be 20% off for today and tomorrow. Click below to get to my store.